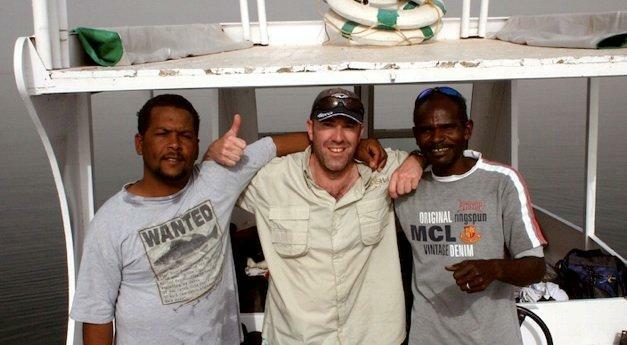 This is the tour company we used – The African Angler Take four fishing boats, two supply boats, professional fishing guides, limited numbers of anglers, a lake with a surface area of over 5,000 kilometres, crocodiles, cobras, scorpions and the desert and you have all the makings of a good adventure. 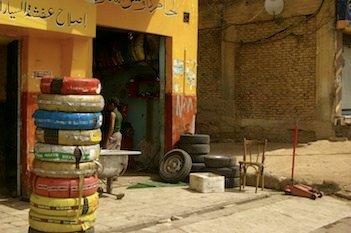 I hope you enjoy this glimpse into fishing Egypt. 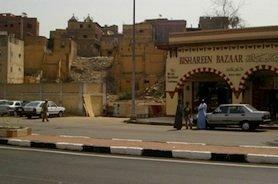 It was hard to contain my excitement as the plane landed at Aswan Airport an hour or so south of Cairo. 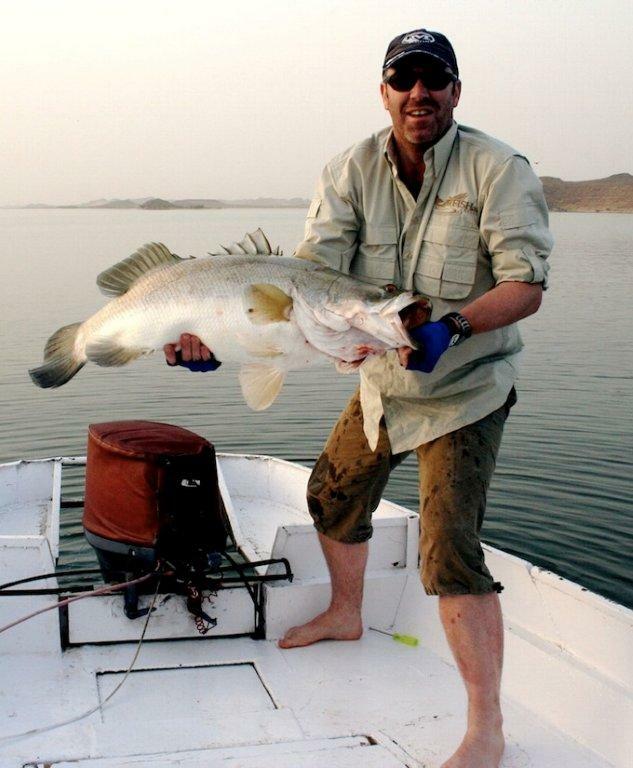 The plan was to spend some time sight seeing then meet up with Tim Bailey, owner of The African Angler atwww.african-angler.co.uk who operates a range of fishing safaris on Lake Nasser. Id spent the last few months acquiring the right equipment to properly target these species and with some generous last minute assistance from my mate Nick at Ocean Active www.oceanactive.com in Dubai, managed to secure a one-piece rod to cater for the heavier end of the Nile Perch range. Ever optimistic Im pleased to say that the rod received a good workout. 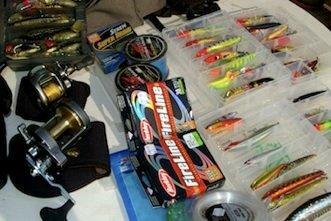 Other essential tackle included a range of Barramundi lures, 30lb and 50lb braid, a casting rod and overhead reel (Shimano Curado and Ian Miller one-piece rod well suited to impoundment Barramundi fishing) and a swag of soft plastics. Two cameras and a Mac laptop were also packed to enable a decent story for the Fish ‘n’ Trips www.fishntrips.net.au website. 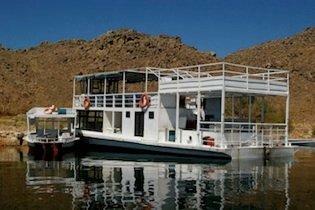 The plan was to join the Safari in Aswan, sleep on the boat, fish for 6 days and hopefully land a Nile Perch. 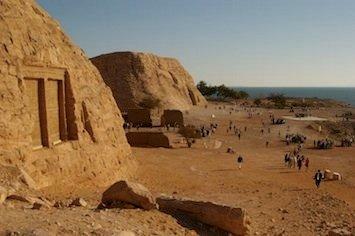 Before joining the tour I flew from Aswan down to Abu Simbel to visit the two historic temples. 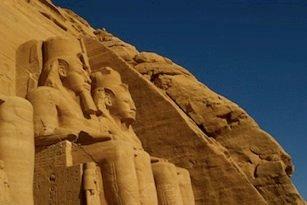 Abu Simbel was one of 24 monuments to be rescued and moved by UNESCO following the construction of the High Dam in the 1960s. The temples are monuments of gigantic proportion and fascinating history. 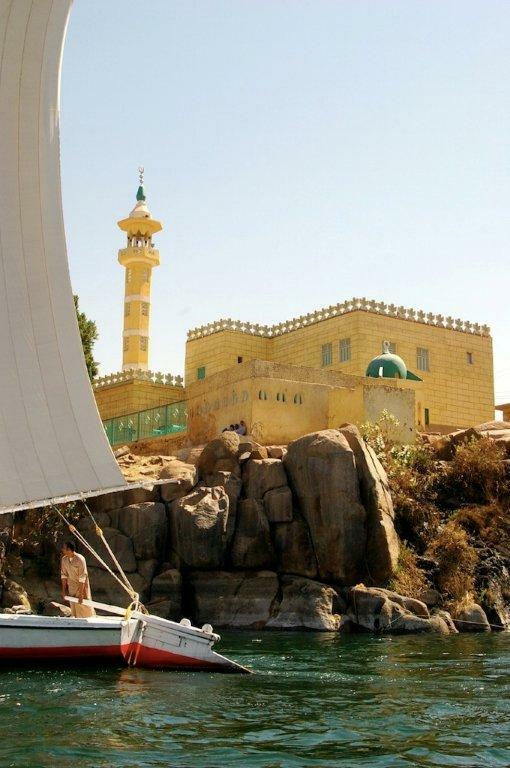 Aswan itself has a relaxed and friendly feeling about it and a walk through the local markets, a cruise on a Felucca, the local sailing boat, and a local Stella beer overlooking the Nile River made for a very pleasant entre to the main course fishing Lake Nasser. 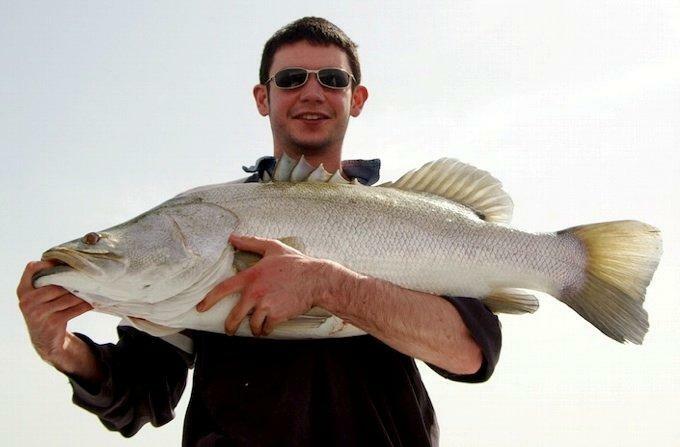 There were five other anglers from the UK and one from Egypt. My fishing partner for the week was Chris, a quietly skilled and confident angler who would finish the safari as the only angler to successfully land a Nile Perch over 100lbs. 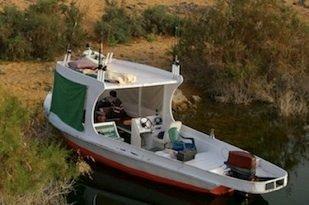 On arrival at a shipyard and dock just out of Aswan I was introduced to Tim and his Nubian crew. 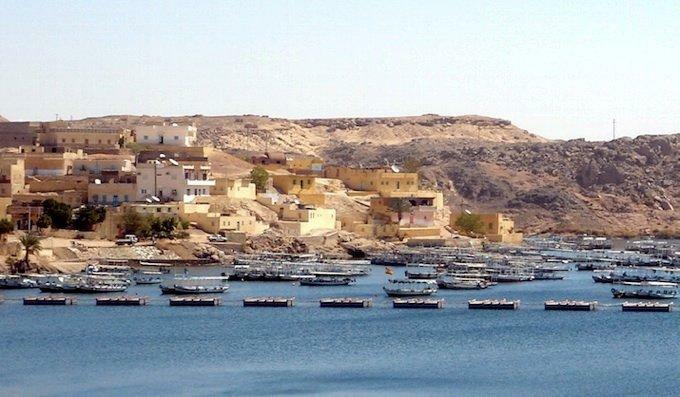 The Nubians are friendly, hospitable and well humoured people particularly given the displacement of almost 90,000 Nubians after the forming of several dams and lakes including Nasser, but thats another interesting story. 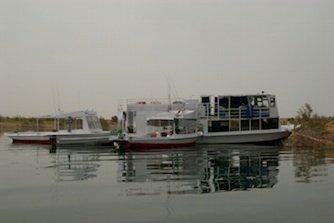 We boarded our vessel named Bushra and flanked by the two supply boats and three other fishing vessels, started the journey south on what was not just a standard fishing safari, but a mission specifically aimed at exploring unchartered areas of the lake with a view to identifying new fishing spots for future safaris. 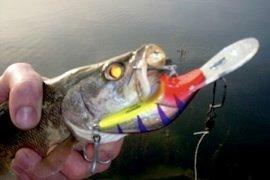 It was also aimed at testing new fishing methods including live baiting and dead bait trolling. 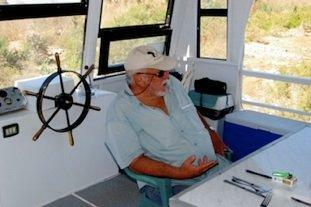 As we started motoring out of the dock the stresses of the past 7 months straight work quickly disappeared. We were south bound, the weather was comfortably hot and all that was left to do was stretch out on the bed, enjoy the scenery and dream of catching a Nile Perch. It wasnt long before we arrived at the first fishing spot, a cluster of rock walls dividing the main lake from what the locals call coves. The first noticeable difference to my previous Barramundi fishing was the depth, which varied on this troll between 20 and 70 feet. I quickly realised that the trusty Barramundi lures were not nearly deep enough, nor were the trebles up to Nile Perch standard. 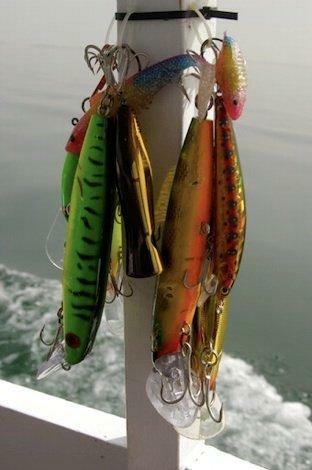 I changed all trebles to Owners Stingers and luckily the boat had a supply of pay as you lose lures, mostly Rapala up to 30+ feet. After a few non-committal hits, at 4:21pm just as dusk was setting in, I hooked my first Nile Perch just off a pretty well pronounced corner rock at the entrance to one of several inlets off the main body of water. It fought like a Barramundi, seemed to be sitting in that ambush position like a Barramundi, and on finally landing it, it looked like a Barramundi from an Australian Billabong, only bigger! 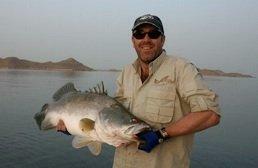 It weighed in a 55lbs and to land a fish so early in the safari was extremely rewarding and a simply great feeling. Our guide Achmed was suitably pleased as the first catch was photographed and quickly released. As the boats all met, the sun began to set and we dined on the custom built supply boat eating a range of Egyptian and Iranian food. 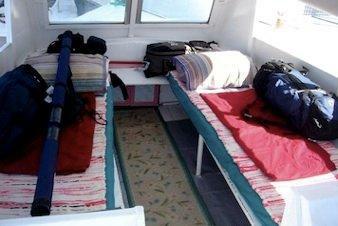 I slept in the cabin of the boat and just knew that this was going to be one great adventure. 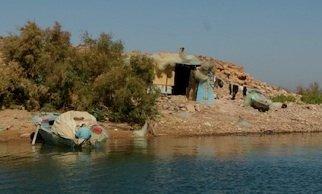 Day two commenced and I was starting to realise just what a massive body of water Lake Nasser is. 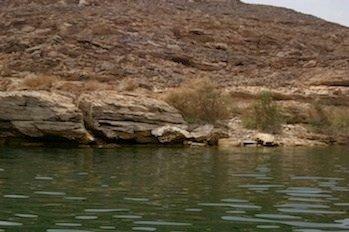 At around 550 kilometres long and 35 kilometres at the widest point, Lake Nasser has a surface area of 5,250 kilometres making it the largest man made lake in the world. 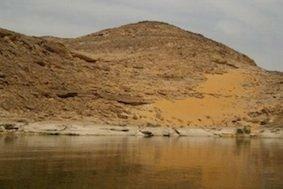 The forming of the Aswan High Dam itself carries with it some interesting history and has resulted in an effective hydroelectric and irrigation infrastructure, essential given the scant annual rainfall in Egypt. Damming the Nile did however result in the flooding of lower Nubia and the subsequent displacement of over 90,000 Nubian people who deserve genuine recognition for the benefits of their sacrifices. 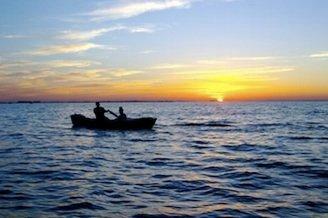 On the fishing front, the day was to produce very little in the boat but plenty of action outside the boat. Our guide located a well defined sea mountain rising from around 120 feet to 30 feet. The sounder showed fish on windward side clearly clustered and waiting to ambush. 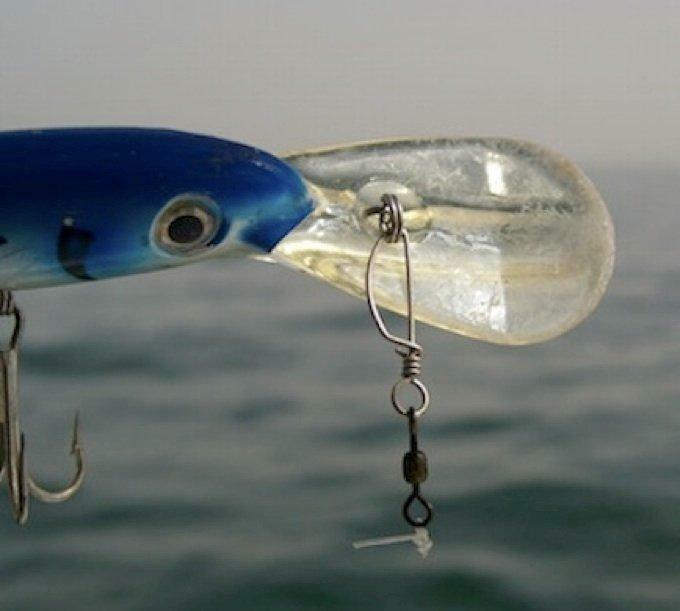 As I trolled a Rapala 30+ blue lure, on 50lb braid I experienced the biggest strike Ive ever experienced as what was later identified as a 100lb+ fish took the lure and ran, and ran, and ran. As I gently leaned back on the drag to avoid it running into the underlying rock ledges the anglers nightmare materialised. 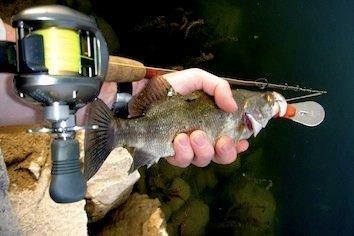 The pressure disappeared, the line went slack and both fish and lure had disappeared. If theres one thing worse than losing a 100lb fish, its also losing a $45 lure and having that added to your safari drinks and tackle tab! As the safari progressed and we observed the behaviour of the Nile Perch, the similarities to our Barramundi became increasingly obvious and in this instance, worked to my advantage. About ten minutes after the 100lb loss, from a distance of over 200 meters a fish started jumping and shaking its head in an effort to spit my lure. 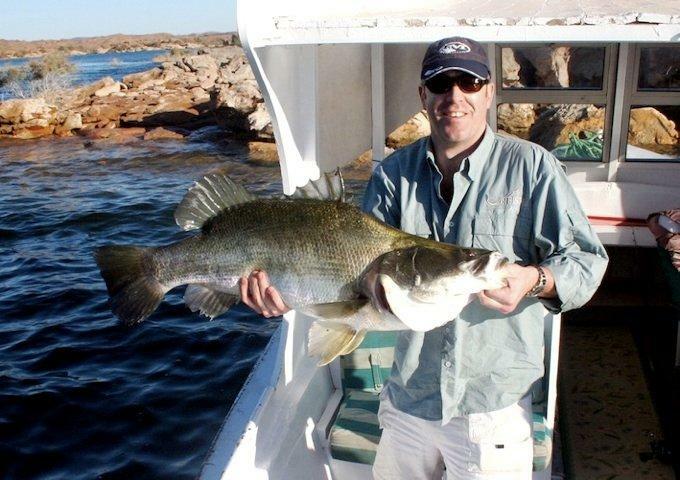 In Egypt they dont call huge fish horses as we do in Northern Australia; instead the Nubians call them buffalos. To see this buffalo jumping was just incredible, and to later retrieve the lure floating on a billiard table flat lake was at least some consolation. We often say thats fishing, and it is, although I tend to think its the same as saying something is character building it means it hurts! 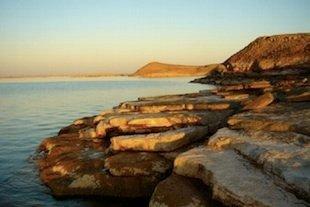 The mono leader had been rubbing against the rock on the troll and had clearly broken at the weakest point. 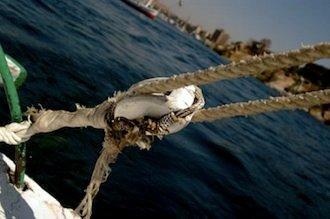 The lesson was painfully obvious, namely, check your leader and double after every retrieval. 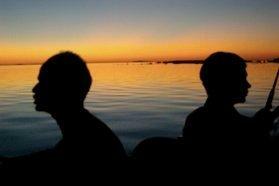 As the day ended, stories of the one that got away were told over dinner on the supply boat in a calm and remote inlet. The food was of a high standard, particularly when one considers the remote nature of these safaris. I moved my bed from the cabin to the roof of the boat and went to sleep staring at the stars, listening to the wildlife in the middle of the desert and dreaming about the one that got away as it grew from 100lbs to 150lbs. Day three began with a quick few casts off the cabin roof. 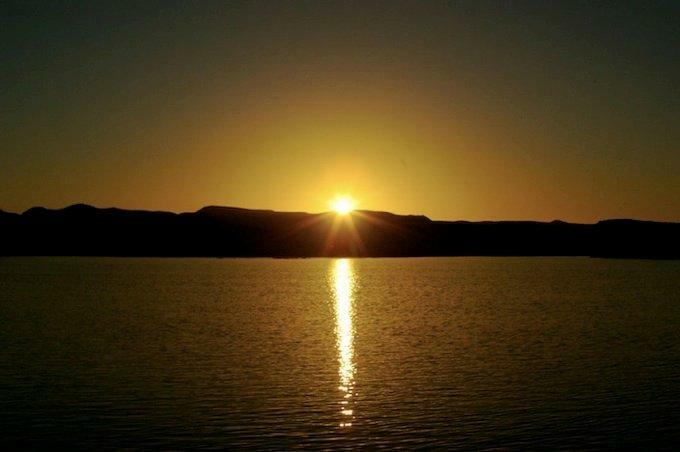 Waking up next to rigged fishing rods and a lake full of Nile Perch was topped off with a hot breakfast and a magnificent sunrise as we geared up to continue south and explore another part of Lake Nasser. While the trolling was proving reasonable hard work, we changed tactics and did some shore fishing. Deep drop offs and shallow weed beds made for the perfect casting environment and as Hamdi the guide went to pray, I landed a small Nile Perch on the old favourite purple Halco Poltergeist lure. The fish appeared to be deep and there was very little evidence of surface feeding. One noticeable difference between this fishing and Barramundi fishing was the absence of the trademark boofing associated with surface feeding. Perhaps it was just due to the fact that the season was just starting, but on my observations the Nile Perch seem to like the deeper water and structure. Another small Nile Perch, this time on a Squidgy Technicolor Yawn soft plastic made was encouraging after a couple of days tough trolling. 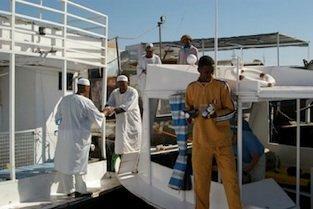 Being a Friday, day four was particularly relevant for our Muslim fishing guide as a significant prayer day in the week. 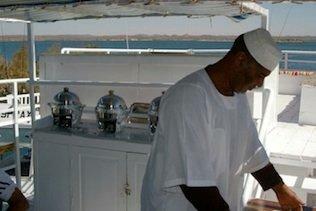 With that, I found myself driving the boat while Hamdi washed then prayed on the rear deck. We joked about also praying for fish, and believe it or not, it wasnt long before Chris landed what would be the biggest fish of the trip weighing in at 103lbs. It was an absolutely commendable effort by both Hamdi, who successfully located several fish at about 40 feet, and by Chris who using a left handed reel graciously lent to him by Hamdi (Chris not being left handed!) 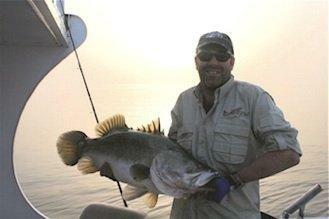 managed to land this monster Nile Perch. After the fight was over Hamdi suggested that he knew the size of the fish before landing but choses not to tell clients for fear of panic. 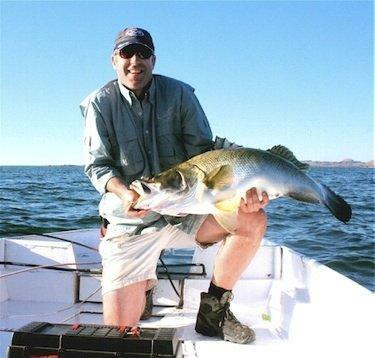 This is the largest fish I ever seen landed by a recreational angler and as with all fish caught on this safari, it was photographed, revived and released. There were plenty of cultural and historic attractions as the safari unfolded including local fisherman remaining on the few inhabited islands spread across the dam, ancient ruins, abandoned fishing villages and an abandonded border patrol checkpoint. All made for interesting observation and exploration. Day five took us further south and again the lake and surrounding terrain continued to change. 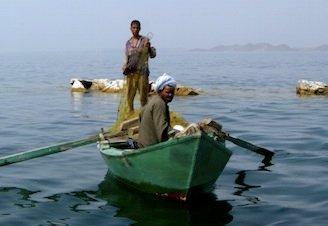 Local fisherman inhabit the various islands and rely on the lake for their continued subsistence. 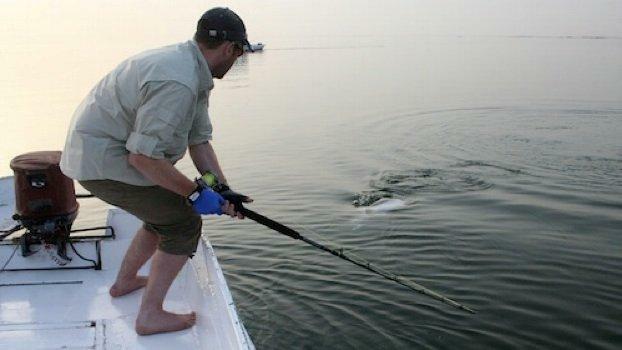 Hand lines, long lines, and unfortunately gill nets are the fishing tool of choice. As we progressed further south, the landscape was flatter and the depth of some spots went beyond 150 feet with some great looking structure showing on the sounder. It was not long before I was to land my best fish for the trip, a 60 pounder intent on jumping but carefully restrained from doing so thanks to a couple of big losses from jumping on the Australian Northern Territory’s Daly River. 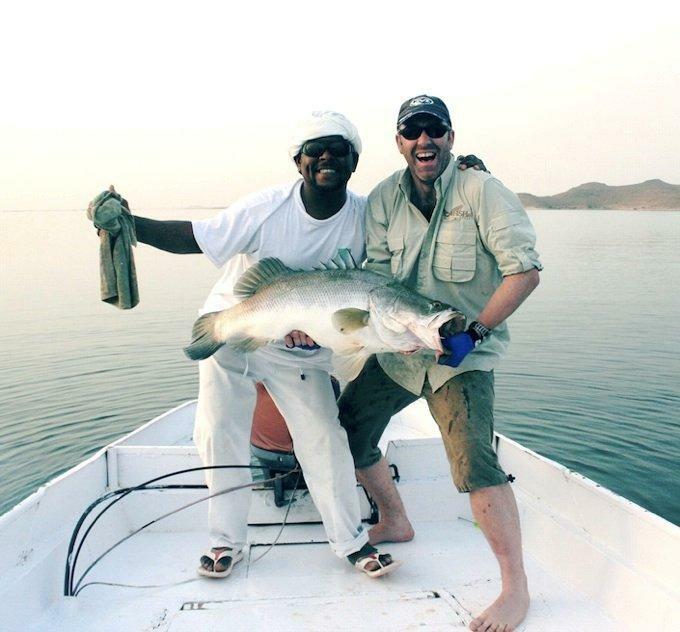 The fishing guide Hamdi was equally thrilled after we landed this 60lb Nile Perch just on dusk – the golden hour. 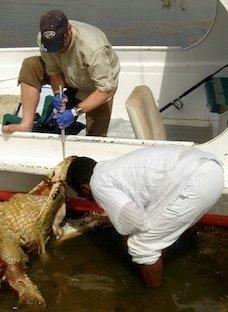 Every fish caught on the safari was released after catching. With a couple more 50-60lb fish landed, we took more time to enjoy the wildlife ranging from pelicans and other bird life through to foxes, jackals and several crocodiles. 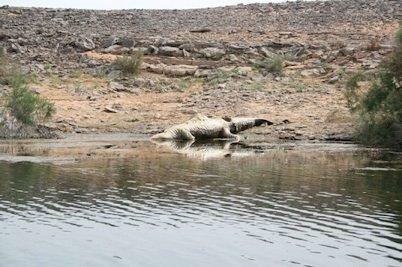 As we entered a small inlet we found a dead crocodile that was easily over 5 meters long. The next half hour was spent braving a very average smell in an attempt to get a couple of real crocodile teeth. The last thing I thought Id be doing in the middle of Egypt is using a gaff to hold open the mouth of a 5 meter crocodile while a local did some dental work on it! Night time saw the usual daily debrief with a great bunch of guys; all keen and well travelled anglers with the requisite sense of adventure and humour. Foxes were fed, a bit of night casting, a few beers and another of those great sleeps under the stars. 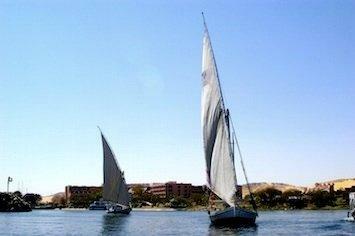 It was the final day and time to commence the journey north to Aswan. Some monster fish had been landed, but there was still time for some final fishing on the return journey. 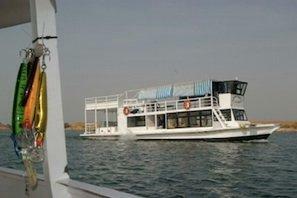 The temperature had been gradually increasing as the week progressed and by mid day it was heading towards 40 degrees. 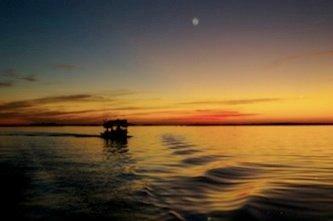 Clouds of small flies swarmed the boat, the wind strengthened and the fish were non-receptive it was time to go home. The journey home saw us stop at a deep water hole apparently less renowned for crocodiles and reasonably safe to swim in. The guide washed and prayed, we swam and prayed. Sitting back at the Basma Hotel overlooking my final Aswan sunset, I couldnt help feeling the continued excitement of another wonderful fishing and travel experience. Although it was a tough weeks fishing and I tend to think that the fish Gods were well and truly on our side throughout this week. 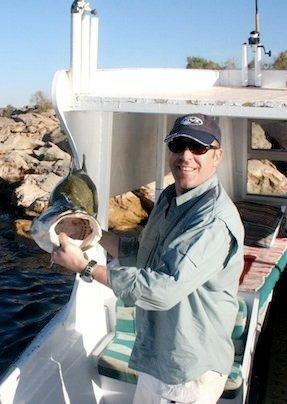 Both Chris and I had caught the largest fish of our angling careers. Sleeping under the stars on a boat, exploring unchartered territory, living with crocodiles and cobras, and catching Nile Perch in such a fascinating country fishing in Egypt was a sensational life and angling experience. 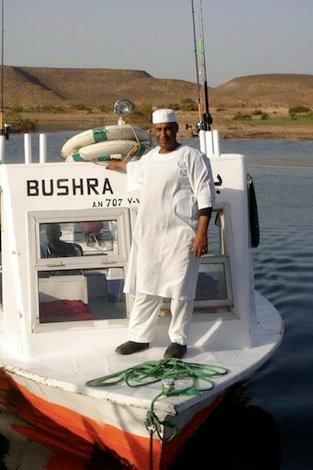 Tim runs a tight and well organised ship, the local Nubian fishing guides and support crew are great people and Lake Nasser is full of Nile Perch. As with all angling, the challenge is to successfully locate and target the fish – not as easy as it sounds but well rewarding when it happens. It happened. I spent too much time fishing and not enough learning about Egyptian history, so if there is an Egyptian God of fishes…he (or she) was watching over this adventure with interest.